Wearing these hand-made leather sandals could not be easier. The design however is a little more complex and yet it produces an attractive effect, which will certainly catch the eye. 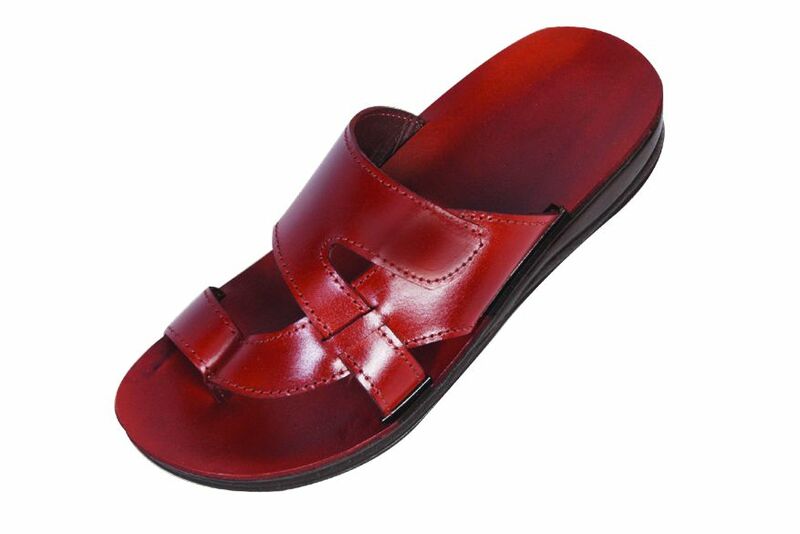 These cleverly designed leather sandals will certainly leave you standing out in the crowd for all the right reasons. The open-backed design lets you slip on these sandals with the greatest of ease. Thanks to the top class materials used in these sandals, you will find that they are not only attractive but also comfortable. Only genuine leather is used in this foot wear, which is hand-stitched to the quality rubber soles. Meanwhile, the design itself will catch the eye. One piece of leather arches across the foot from the insole, diverging into two pieces as it reaches the other side. Underneath, another piece of leather reaches from the outside of the foot across the toes. 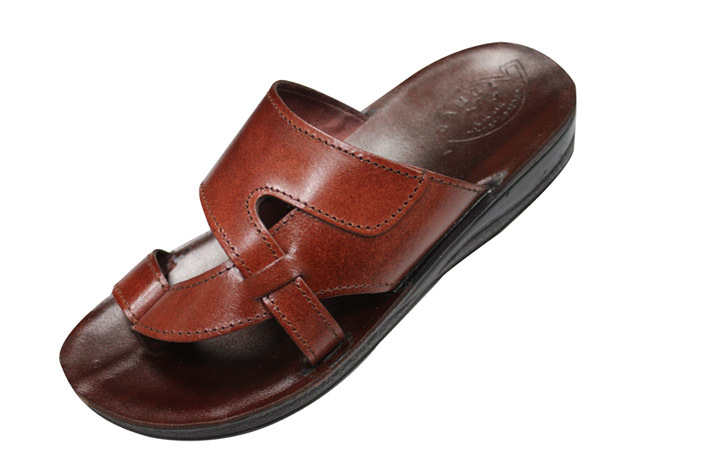 This meets a convenient leather toe loop, which holds the big toe in place. The result is a pair of Israeli sandals which will allow your feet freedom of movement with a stunning design.